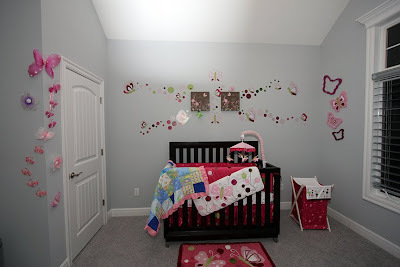 Esteban continues to work his creative magic on our little Willow's room! Here is an updated picture. I hope she gets some of his creative/artistic ability! This has been a busy week as well. I had a baby shower yesterday and our new office and bathroom build out in the basement is FINISHED!!!! Whew! More pics of those to follow.